Warm weather invites us to visit some of the outdoor attractions we have in here in Toronto. Toronto ZOO is probably one of the main targets. Most of us have been there at least several times. However, you need to be a bit lucky to see a Pavo (Latin name for peacock) present his magnificent tail. 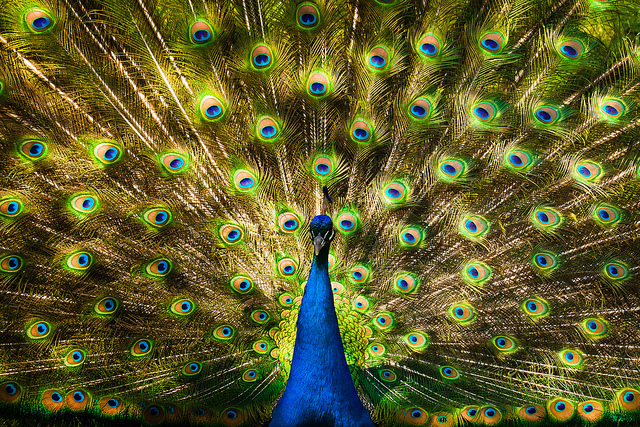 Benson Kua was lucky and made one of the most spectacular pictures of a peacock.